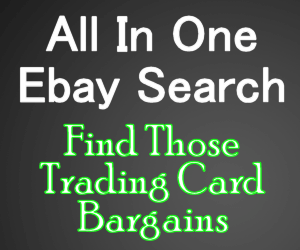 2018 Topps WWE Then Now Forever - Wrestling Card Checklist	Overall rating:	3	out of 5 based on 1	reviews. 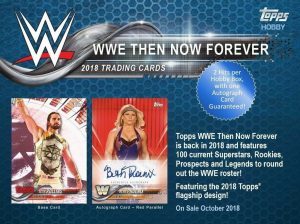 2018 Topps WWE Then Now Forever is essentially a Series 2 release for the company. Using the same design as Series 1, this release adds to the initial release and uses the same basic format. 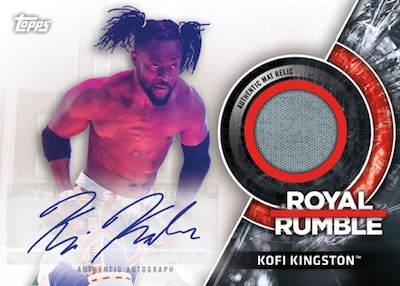 Each hobby box offers fans 1 guaranteed autograph, as well as 1 extra auto or memorabilia hit, each of the 24 packs also includes 2 insert cards, ensuring that each pack has something interesting.This is not a terribly expensive release and should prove popular with wrestling fans.